Maybe you’ve seen the ads on TV for Clarisonic brushes. I’ve wondered for a long time whether they really work. I don’t have very bad acne, but I’ve always been plagued with small bumps on my arms that don’t go away when I use acne washes. After I researched it, Clarisonic seemed like a good solution to this problem. The sonic vibrating lifts oil out of the pores rather than scraping them out like a cleanser. Clarisonic has a line of sonic brushes at different price points; one of them might be your acne solution. The article did say more research was required to see just how effective the technology is, but evidently it works at least on a conceptual level. Is Clarisonic Better Than a Washcloth? The Clarisonic brushes move at a rate of 300 movements per second to create an invigorating “micro-massage.” Clarisonic claims their product removes 6 times more makeup and 2 times more dirt than cleansing with your hands. A news segment on “Good Morning America” in 2012 features a perky correspondent trying Clarisonic. She used fluorescent makeup to show how effective Clarisonic was at removing gunk from her face. What Options Does Clarisonic Offer? 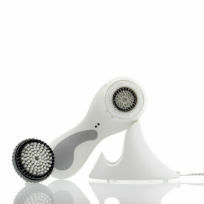 Clarisonic has a line of different sonic brushes that vary in size and strength. There is a basic model with only one speed and one button all the way up to a customizable new model. The Mia is the most basic sonic brush in Clarisonic’s line. It has one button, one speed, and a regular plug-in charger. Like all the Clarisonics, it comes with a sensitive brush head (which is good since skin isn’t used to being sonically scrubbed every day). It is also waterproof, like all the Clarisonic brushes. You can use it in the shower or in front of the mirror—but try not to drop it in the toilet! This stripped-down model is also the cheapest—only $119 on the Clarisonic website. That and the fact that it comes in over a dozen solid colors makes it an ideal product for an acne-plagued tween; it’s pretty, and it won’t bust mom’s budget. There’s a reason the Mia 2 is a best seller on Sephora.com. 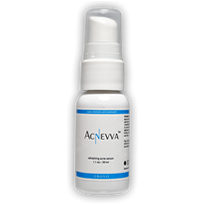 It’s a step up from the Mia, with 2 speeds for greater control over facial irritation. The Mia 2 also comes in a plethora of colors, including some patterns that are not offered in the basic model. Mia 2 also has a T-timer, which is a timer that beeps every 10-20 seconds to remind you to switch to a different area of your face. The 20-second blocks are for your T zone: your forehead, nose, and chin (generally the oiliest parts of the face). 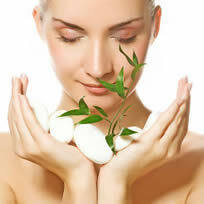 The 10-second blocks are for your cheeks, which tend to secrete less oil and break out less. The whole process lasts 60 seconds. Mia 2 is priced at $159, a slight jump from the Mia. But, it does have additional settings, so it might be a better choice for a skin-conscious teen or adult. The PLUS is so fabulous Clarisonic decided to capitalize the name. It includes a charging cradle for easy charging. I don’t know if it, too, is waterproof; in all the pictures, it is conveniently dry. Clarisonic PLUS has 3 speed settings: low, normal, and high. It also includes a Body Mode, which can be used with the body brush. Body Mode has 2 settings: normal and pulse. 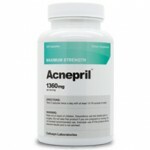 This is basically a massage for your body that also clears body acne. This model is a little bulkier than the Mia, but it has a better grip for the larger body brush. Clarisonic PLUS costs between $225 and $235, depending on the design. This is a splurge for a working woman who enjoys pampering. The Aria is the newest brush in the line. It has all the bells and whistles of the Clarisonic PLUS except for Body Mode. It sports a new sleek design and a USB-enabled charger, which makes it ideal for on-the-go. It also comes with a drying stand, which makes it a more affordable alternative to the pricy PLUS. Aria costs $199 on the Clarisonic website. It’s great for travelers who don’t want to sacrifice great skin in their quest for adventure. The Clarisonic Pro is the mac daddy of skincare brushes. It has everything the Clarisonic PLUS has, along with a few extras. The Pro sports 4 speeds: low, normal, high, and pro. It also has Body Mode with normal and pulse settings. Clarisonic Pro is not sold on the Clarisonic website. It can be found through skincare professionals, usually for $225. What Do Consumers Say About Clarisonic? I can honestly say I have never seen “can’t live without it” this much in the comments sections of any of the products I’ve reviewed. Rave review after rave review practically parrot the claims made by Clarisonic. The phrases “softer skin,” “healthy glow,” “cleared my skin” and “flawless” are thrown around as much as Mardis Gras beads in New Orleans. And, these aren’t reviews from back in the day when Clarisonic was introduced and then it fell out of favor. These are from users who purchased Clarisonic recently. To be fair, Clarisonic has received a few negative reviews. These reviews usually had to do with the product not working or not being shipped with all the accessories. I’m already jealous of all the people who have a Clarisonic. If I had $200 lying around, I would buy one today. Unfortunately, Clarisonic is a skincare investment I will have to save up for. The hefty price tag prevents me from recommending this product wholeheartedly, since I would hate to encourage people to max out their credit cards for clear skin. If you do have the cash, Clarisonic is definitely worth a try. Hundreds of customers are doing cartwheels of joy over their Clarisonics, and you could join in the fun.